My second beer from the stack that Sjoerd brought me at Maltstock is one that I felt the need to work up to. It may have a simple label but as a 10% barley wine it’s a bit stronger than most of the beers I’ve been drinking over summer. However, with the first properly cooler weekend of the year came my excuse for cracking the bottle – it’s cheaper than turning on the radiators. I present Emelisse White Label Barley Wine 2011. 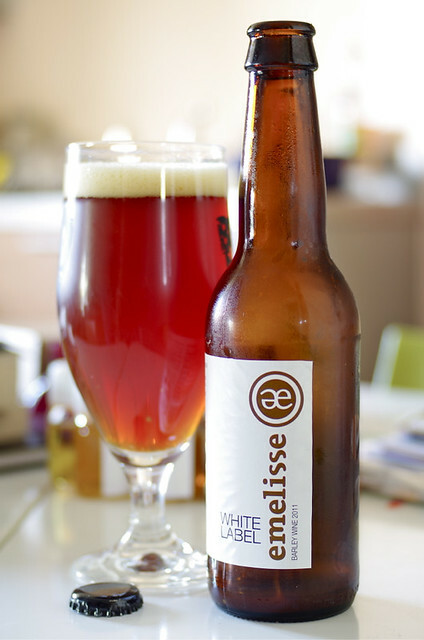 Emelisse is a brewery and restaurant based in Kamperland in Zeeland, in the south-west corner of the Netherlands. From what I’ve managed to drag out of Google translate’s particularly random handling of Dutch they aren’t a user of local produce, importing barley and hops as well as getting water from the nearby province of Brabant – the latter makes some sense as Zeeland is, as the name suggests, a bunch of islands and former islands and I suspect the local close-to-the-end-of-the-rivers water may not be up to the exacting standards of a small brewery. 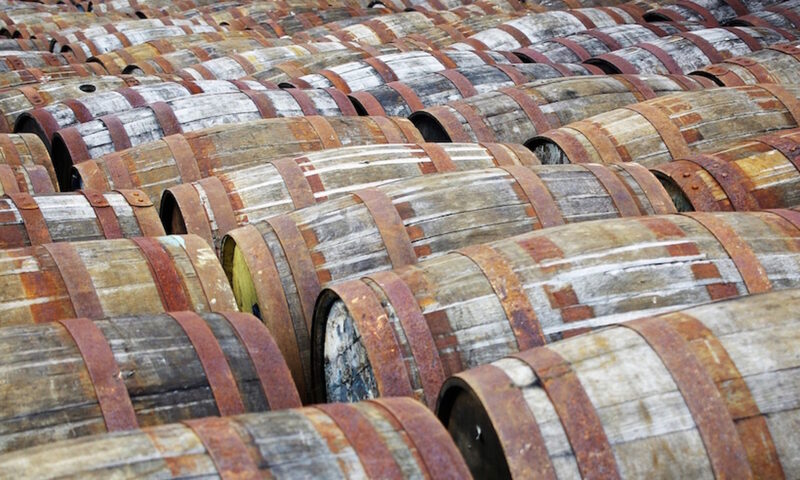 The White Label range are beers that they produce as one-offs, with my searching around the web showing a number of seasonals as well as pre-production and special runs of their regular range of beers. The brewery covers a pretty wide range and hit all of the trendy notes, with IPAs, Russian Imperial Stout, rauchbier and even a black IPA in the line-up along with the more expected pilsners and bocks. The Barley Wine 2011 pours a rather nice dark red and is bottle conditioned. On the nose there was thick Marmitey malt, syrup and a bit of candied pineapple sweetness. To taste it was heavy and richer than its approachable colour suggested, with a hint of soapiness quickly overwhelmed by sweet and sour fruit, fruit skins, more sticky pineapple, and some sour hoppiness. It finished very sweet, slowly fading to a pleasantly bitter green hop. A definite barley wine: warming, strong and punchy, with a thick malty mouthfeel and ‘gets behind the eyes’ booziness. However, it was also quite well balanced, with sweet fruit increasing as it warmed, counteracting the bitterness of the hops and sourness of the grain.